Local donors and nonprofit leaders gathered for a reception Thursday to celebrate the Loudoun Impact Fund’s gift of $125,000 in grants given to 16 nonprofit organizations serving Loudoun County. 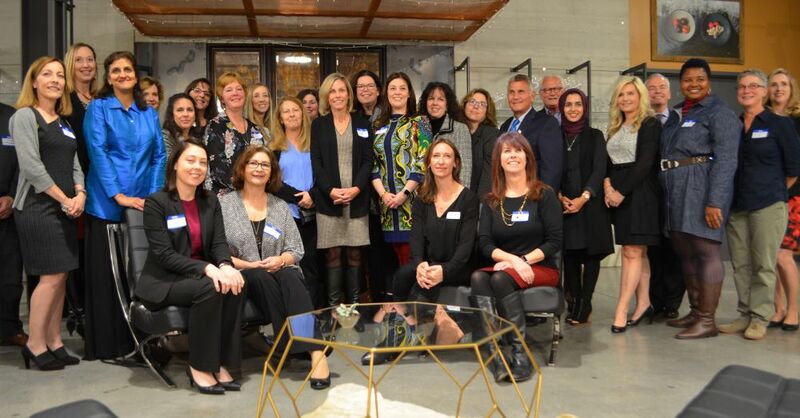 The reception was held at Integrus Holdings in One Loudoun, where Nicole Acosta, nonprofit programs and grants director for the Community Foundation for Loudoun and Northern Fauquier Counties, announced and honored each of the award recipients. The awards were made possible through the generosity of more than 50 individuals and businesses that pooled charitable gifts. 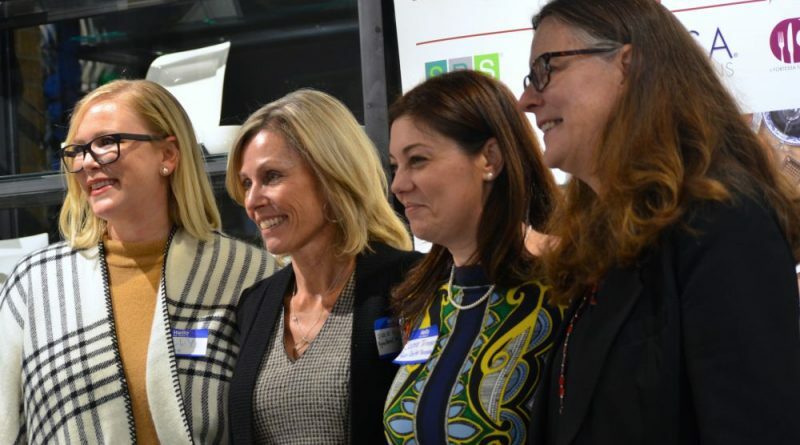 The Loudoun Impact Fund brings together individuals and businesses interested in grantmaking administered through a joint effort of the Community Foundation for Northern Virginia and the Community Foundation for Loudoun and Northern Fauquier Counties. A Farm Less Ordinary will receive a $10,000 grant to support the construction of a greenhouse and employ more adults with intellectual and developmental disabilities. A Place To Be will receive a $10,000 grant to expand music therapy services to at-risk youth residing in the Loudoun Youth Shelter, in partnership with Grafton Integrated Health Network. All Ages Read Together will receive a $5,000 grant to support school readiness programs to at-risk children ages 4 and 5. Children’s Science Center will receive a $5,000 grant to support STEM Community Outreach Program, providing Summer Mini-Labs for low-income children. Crossroads Jobs will receive a $5,000 grant to support job counseling for people with disabilities, including employer outreach, and consultation, and follow-up support for newly hired clients. ECHO will receive a $8,500 grant to create a sensory room to help day support program participants with disabilities engage with their senses, leading to increased attention, communication, and mobility. Fenwick Foundation will receive a $7,500 grant to provide dental care to low-income older adults and adults with disabilities through portable dentistry delivered to the patient at their facility, group home or residence. INMED Partnerships for Children will receive a $8,000 grant to support after school programs for at-risk elementary school students, providing academic and social support. Loudoun Abused Women’s Shelter will receive a $8,500 grant to provide support group services and recreational activities to child victims of domestic violence and sexual assault. Loudoun Habitat for Humanity will receive a $5,000 grant to support the Home Repair program to help seniors age in place, providing home repair projects to low-income, elderly homeowners. Loudoun Hunger Relief will receive a $10,000 grant to support the Senior Adult Food Security Program, providing food to at-risk older adults, in partnership with HealthWorks for Northern Virginia, Madison House Apartments, and the William Watters House. Loudoun Literacy Council will receive a $7,500 grant to provide literacy enrichment programs to at-risk preschoolers from low-income families. Loudoun Volunteer Caregivers will receive a $10,000 grant to providing transportation, shopping assistance, respite care, home visiting, money management, and home repairs to older adults and adults with disabilities. Ryan Bartel Foundation will receive a $10,00 grant to implement Sources of Strength program, an evidence-based youth suicide prevention program, in partnership with LCPS. StoryBook Treasures will receive a $5,000 grant to provide literacy enrichment with trained teachers to disadvantaged students, in partnership with LCPS STEP preschool program. Windy Hill Foundation will receive a $10,000 grant to support summer day camp for school-aged children residing in WHF affordable housing units, bridging the summer childcare gap for participating families. AHT Insurance donated the entirety of the proceeds made from its annual charity golf tournament to the Loudoun Impact Fund adding $25,000 to the fund. Additional corporate donors included Integrus Holdings, Backflow Technology, Madison Wealth Management, and AllTransPack. ← Fortier: Kids: No Housing…No Hope…No Thanks!